If you want to alter the color of your fiberglass reinforced panels by applying a coat of paint, approach the project with care. First, you must prepare the FRP surface correctly, or the finish will begin to fail shortly after its initial application. 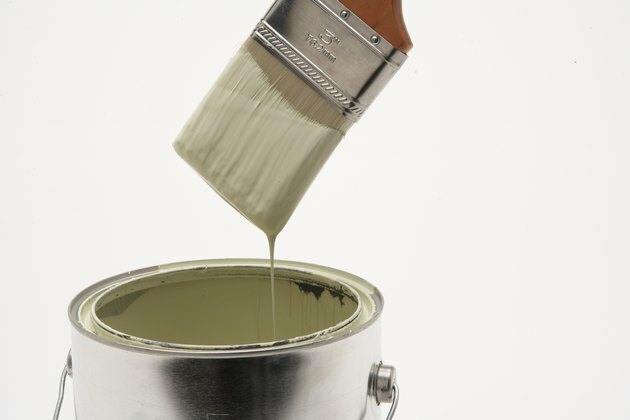 In addition, you'll need to apply the paint in a particular manner, or you will likely produce a finish marred with unattractive brush strokes and sections of uneven, sagging paint. Wash the fiberglass reinforced panels, using a water hose. Wait for the panels to dry. Scour the reinforced panels with a sheet of fine-grit sandpaper. Continue scouring the fiberglass until it feels rough.This abrades the surface and stimulates primer adhesion. Roll the acrylic primer onto one FRP panel, and smooth the wet primer with a wide-bristled brush. Continue this until all of the panels are primed. Wait two hours for the FRP panels to dry. Clean primer from the brush with plain water. Apply the acrylic paint just as you did the primer. Wait two hours for the fiberglass reinforced panels to dry. Apply one more coat of paint if you can see any primer showing through.